FROM £69, DOWN TO --- £11.19!!! 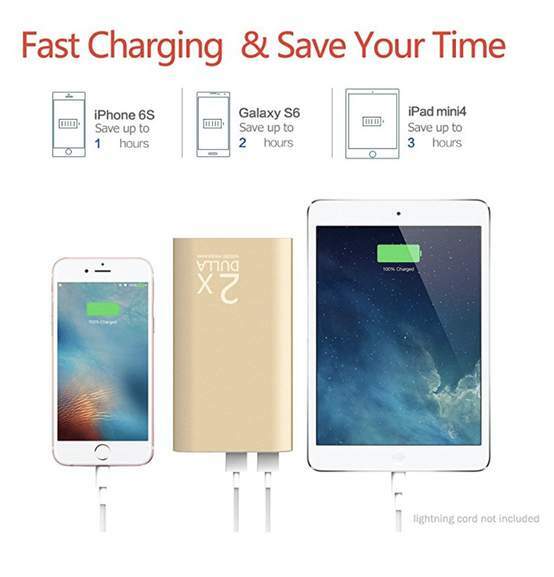 Amazing lightning deal! Ends in two hours! (5PM) ----------------------------------------- Why not get this as a xmas present? 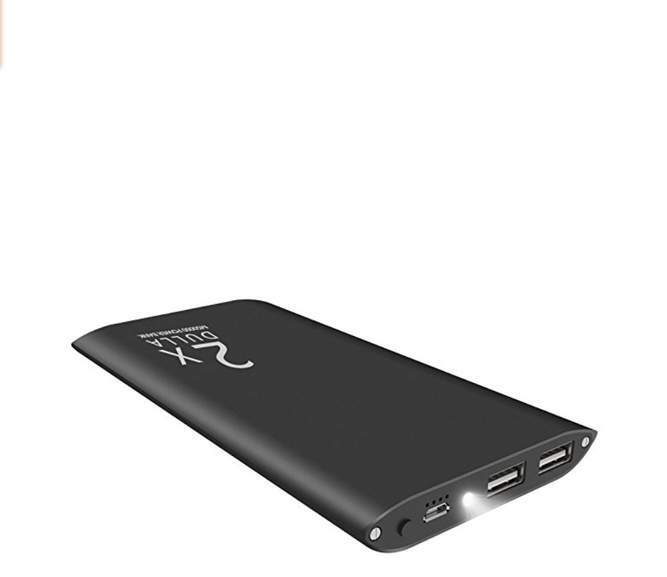 In such a compact package,but enough power to keep you going for days.Perfect for flights,traveling, business trips,or any time you're away from an outlet. 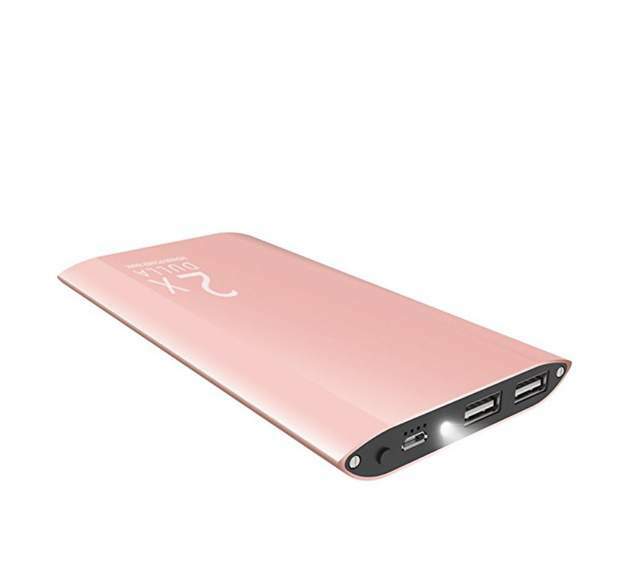 Aluminum body plus the built-in Li-polymer battery.Lightweigh?12 ounces),Ultra-slim design (6.1 x 3.1 x 0.5 inches), comfortable to hold and it slipped easily into your pocket and can be used to charge digital devices anywhere. 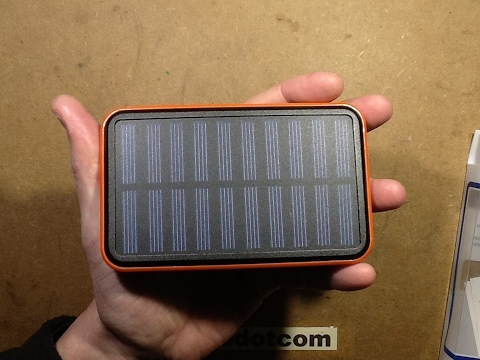 With a charge input of 5V/1.5 A, fully charged in about 11 hours. Two USB output ports (2A and 2A) let you charge any two USB-charged devices quickly,faster than 98% of other brands. iPhone7 Plus 6/ 6s plus/ 5/ 5s/ 4/ 4s, samsung Galaxy s7/ s6/edge, LG V10/ G4/ G Flex2, Moto X Style/ X 2014/ Turbo 2, Sony smart phones, HTC One M9/ M8/ X, ZTE, Huawei, Blackberry, iPad, iPod, other tablet PCs, digital cameras, game consoles and MP3/MP4 players, etc. It is designed as the same manufacturing standard as Apple's products,but also has the same cell with iPhone 6s. We went with a smooth finish to keep you traveling in style. Short press the power button, the LED indicators will light up, it's easy to know the remaining capacity. Pressed and hold on and it was turned on/off the light. At Dulla, we believe in our products. That's why we back them all with an 18-month warranty and provide friendly, easy-to-reach support. 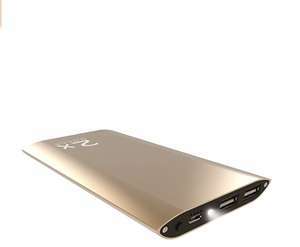 1 x DULLA 12000mAh Power Bank. Do I actually need one ? Guys and girls, it's a Gift for Mother's Day and Birthday! But please understand, not for Christmas or Father's Day. Anyway, sadly has expired - never can have too many power banks in my opinion. These are rubbish. I owned the same model albeit a different brand name it lasted only a few charges. 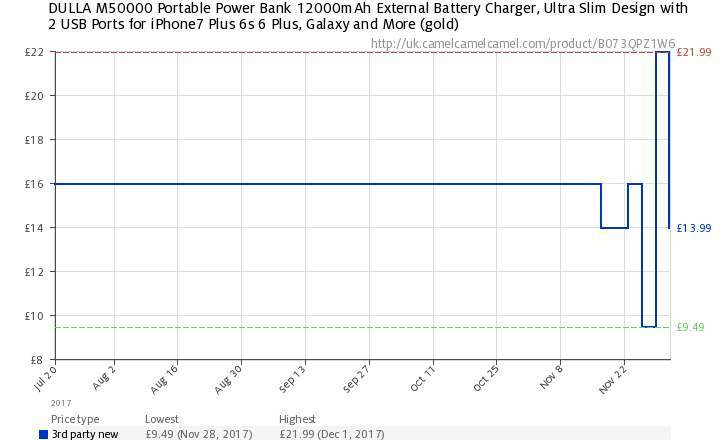 Don't bother get a anker. Having owned an off-brand one like this, chances are you won't get the claimed battery power from it. RRP is also a lie, so avoid. Deal posting newbie! This is Daniel_Darius first deal post. Help out by leaving a posting tip or just to show your appreciation for their contribution.